I have been involved with Clever Canines for 4 years with my dog Quinn. We did Jumpstart when she was 6 months old and through no fault of hers, I did not follow through with her training after that. However, I decided to make a commitment and we recently completed the Core program and I would recommend it to Anyone who wants to bond with their dog, learn about canine behaviours and really make a difference in theirs and their dog’s life. The instructors were amazing! Always so helpful and happy and obviously love dogs! Thank you Diana, Karen and Colleen! The ‘real time’ training around the city is much more helpful than being in a classroom setting. Having your dog get used to city noises, have to pay attention when all she really wants to do is eat grass and chase rabbits, made the experience more meaningful. We loved our downtown time on the C-Train, going up and down the escalators and especially sitting on the big concrete balls! I never thought my dog would do that! 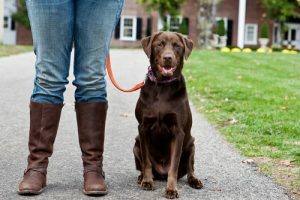 It is quite scary, but rewarding when you first drop the leash and realize your dog is happily trotting at your side looking to you for guidance and clues. Clever Canines understands and promotes dog behaviours and reactions. A huge thank you to Clever Canines for allowing me to enjoy my dog again!! Extremely happy with the level of service we received. We have 2 larger rescue dogs that were extremely challenging to train and even take for walks. 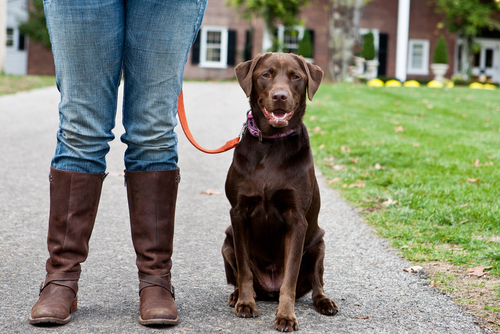 The staff are very patient, informed and enthusiastic about working with you and your dog(s). Can’t believe how well behaved our dogs are after putting them through the “Core” Program. Highly recommend to any dog owner wishing to learn how to really communicate with your dog without the use of treats or clickers. Very well run business and amazing staff – Thank you!!!! The behavioural classes alone were well worth it! We now understand our dog’s behaviour and that we are responsible for his well-being. Being in a group setting we got to hear and see other owners going through their frustrations with their own dogs and how we could all learn from them. Meeting at a different location for each class is a great idea as it used real-life experiences. Also managed very professionally by always having three instructors per session and so we all got individual attention. As a result, even having a rowdy dog in our class didn’t take away from the others. Just bumped into someone at the dog park yesterday and told her how great CORE was. They had taken the JumpStart class but she wasn’t sure about joining CORE because of the time commitments. We have now completed the Pup Start and Core programs at Clever Canines and are very impressed with the experiences we have had, the knowledge we have gained, and the excellent instructors and wonderful fellow clients and dogs we have met. What a great idea to do our training at a variety of parks and venues around the city! It has certainly opened up a whole new world of places to visit in addition to our usual off-leash parks. In particular, we really enjoyed being downtown, which isn’t a place one would normally think of going with a dog, and experiencing stairs, elevators, parkades, traffic noises, sitting/standing on different surfaces, balancing, and going on the C-train. Going up and down an escalator and across a pedestrian bridge were also things we never would have thought of doing with our pup, and we may never do again, but it certainly helped to build our dog’s confidence, trust and relationship with us. We also found the seminars very helpful in terms of learning about dog-human communication. The instruction provided by the knowledgeable, enthusiastic and dog-loving staff and owners was top notch. We have recently had the opportunity to call and ask about behavioural issues, and had a very thorough and helpful discussion with Joe. We truly feel like we are not merely former clients, but rather clients for life. We would highly recommend Clever Canines! Maya is now 9 months old and we just finished CORE. It was a very worthwhile investment and worth every minute of my time. Once again, the instruction was excellent and the classes were fun. Each 1 1/2 hour lesson flew by. The instructor always made time for questions, during and after class. I highly recommend Clever Canines! Thank you Clever Canines for showing us what we can do with Cooper around our beautiful city. You have changed our lifestyle and opened our eyes and we can’t wait to join Club 360 and continue the journey with you! Keep doing what you are doing and expanding – its exciting to be a part of clevercanines and such a pleasure to deal with everyone associated with your firm. It makes it easy to recommend you and to commit to the courses rain or shine….best of luck with everything and thank you for doing what you do and doing it so well. This class really helped me connect with my dog and gave me a great foundation with my dog. We learned a lot about our dog and where we need to work harder with her to be successful. clevercanines gave us a real sense of community with other people who are passionate about their dogs. I am really excited to become part of the family and continue to grow as a dog parent. Really LOVED this class! clevercanines is the ONLY way I’d go!!!!!!!!!!!!!! Your stuck with me for life. I absolutely love and admire the work that clevercanines does and I have indeed already suggested clevercanines to other friends of mine who have dogs or to those who are looking into getting a dog. Although at the begging the price may seem high, as the course goes on and you begin to see the change in your dog and their behaviour, you begin to realize that the seemingly high price tag at the begging really isn’t much in what you’re receiving in return. A life of freedom with your dog really is priceless. At first I was anxious about the cost. Felt it was a huge gamble for me financially, but as we progressed through the course and got to interact more with each other and the trainers the cost became irrelevant. I tell anyone who gives me 5 minutes about your program, I think I am getting to be known as the ‘crazy dog lady’ though. I cannot say enough about clevercanines. The training I (we) received was invaluable as it helped us both with our fear, confidence and more. I didn’t believe I could ever walk Solomn without a leash, have him sit beside another dog, or have him handled by someone other than me. We were successful on all accounts! While we still have a few ‘issues’ to work through, we have learned a lot, have grown and I believe this training, and the club360 offered afterwards, will support us on a path of freedom. I have and will continue to highly recommend this course. Finally, the passion that Tracie leads with is infectious. She is an inspiration and helped me realize that even though my situation is difficult, we can move beyond it.